HAVANA — On December 17, U.S. president Barack Obama announced that his administration would pursue executive policies designed to engage Cuba diplomatically and, potentially, restore relations between the two countries severed in 1960 – one year before Obama was born, as he himself noted in a joint conference with Cuban president Raúl Castro at the Summit of the Americas, the first time since the summits began in 1994 that a Cuban leader was invited to the affair. It’s not only the White House that argues the 55-year embargo hasn’t worked – Republicans and Democrats alike, and Cubans, Americans and many others have long held that the embargo’s worst effects have fallen on the Cuban people, even as the policy gave Fidel Castro a convenient foil and excuse for the failures of his own government. No medicine? Blame the embargo, not the Revolution that guarantees universal health care to everyone. No food? Blame the embargo, not the abrupt end of Soviet subsidies, which plunged Cuba into what Castro euphemistically christened the “Special Period in a Time of Peace,” three years of hunger and deprivation where the average caloric intake dropped from around 3,000 calories per day to 1,400, according to some estimates. For all the initial promise of the Revolution, the reality fell far short for many Cubans, most especially for LGBT Cubans shuttled off to labor camps in the early 1970s and Afro-Cubans, who suffer from race-based income inequality decades after the Cuban government’s declaration that the Revolution “ended” racism. Even Fidel Castro admitted as much in a remarkable interview with Jeffrey Goldberg five years ago. You don’t have to be a Nobel-winning economist, however, to realize that Cuba’s most recent financial benefactor, Venezuela, is going through some tough times. Two years after the death of leftist populist Hugo Chávez, oil prices are down and so is the level of production from PdVSA, the country’s state oil company. The official rate of the Venezuelan bolívar is comically lower than its market value, inflation runs rampant and shortages and rationing of basic foods and household goods is common. These days, everyday chavistas, who still hold faith in the socialist Bolivarian revolution, have taken to lobbing mangoes at Chávez’s successor, Nicolás Maduro, with messages desperately scrawled on them. Those less charitably inclined to Maduro, including opposition leader Leopoldo López and former Caracas mayor Antonio Ledezma, have been imprisoned. It’s dawning on the Castro regime that the days of exchanging Havana-trained doctors, Cuban intelligence agents and revolutionary slogans in exchange for cheap oil and other goodies may be coming to an end. William LeoGrande, a professor at American University and the author of a new book on decades of back-channel negotiations between Havana and Washington, argues that the current round of negotiations isn’t the first time that U.S. and Cuban officials have sat down for talks, including the possibility of re-establishing diplomatic relations. This time around, the implosion of Venezuela, has refocused Cuban interest in reconciliation with the United States, which could provide Cuba the kind of tourist revenue and foreign development aid it desperately seeks. Privately, State Department officials agree that the Obama administration and the Castro regime are locked in a giant wager by launching a new era last December. The U.S. government is betting that a wave of liberalization and modernity will drag Cuba into the 21st century by empowering U.S. companies to do business directly with Cuban entrepreneurs, a step that will embolden individual freedom. The Cuban government is betting that it can liberalize à la carte by opening its economy, but not its politics, press or Internet, an approach that China and Vietnam have more-or-less successfully pursued. News coverage since December paints a rosy, possibly naïve, tapestry of a partnership moving steadily forward. First were reports that Netflix would soon come to Cuba, something of a cruel joke for a country where Internet access is heavily restricted and censored, available for up to $10 an hour at designated government-run Internet cafes, universities and top tourist hotels. Then came AirBNB’s foray into Cuba, where homestays in casa particulares are a more popular option than overpriced hotels. JetBlue, earlier this year, announced grandiose plans to launch a commercial nonstop flight from New York to Havana by year’s end, followed this spring by hopes to re-establish a ferry service across the Straits of Florida between Key West and Havana. In March, Conan O’Brien hosted a virtual commercial for the faded glamour of a Caribbean playground filled with 1957 Plymouths, watered-down daiquiris and overpriced nights at the Tropicana. A high-profile delegation led by New York governor Andrew Cuomo and a group of state business leaders dropped in to talk about future opportunities. Havana is keenly anticipating a scheduled visit from Pope Francis in September, and there are promises of a possible stop by U.S. secretary of state John Kerry and even whispers that Obama himself might make a trip. A visit last month from French president Francois Hollande, the first Western European leader to visit the island since 1986, included an hour-long colloquy with Fidel Castro himself, though it also drew a critique from prolific blogger Yoani Sánchez when Hollande failed to meet any dissidents during his short trip. Even in a best-case scenario, the Obama administration’s move could go awry simply because of the political gravity of presidential term limits. None of the nearly two dozen 2016 Republican presidential candidates, excepting Kentucky’s libertarian senator Rand Paul, supports the opening to Cuba. Two candidates, Senator Marco Rubio, himself the son of Cuban immigrants, and former governor Jeb Bush, come from Florida and swear fealty to the fiercely anti-Castro Cuban community in Miami. It’s true that, given the widespread cultural and economic interest among Americans in Cuba’s future, no Republican may be able to undo Obama’s work by the time January 2017 rolls around. In the fight to lift the embargo, the momentum is on Obama’s side, and many business interests, including the American farm lobby, are enthusiastic about accessing Cuban markets. But if the U.S. interests section in Havana is converted into a full embassy, a hawkish Republican in the Oval Office will have vastly greater leverage to undermine the Cuban regime in far more serious ways than broadcasting churlish messages from an electronic ticker or funding outlandish USAID programs to design fake Twitter programs like “ZunZuneo” (the latter ultimately backfired when its popularity crested, filling the coffers of the state-run mobile phone company). Cuba, too, is set for its own political transition in 2018, when Raúl Castro has pledged to step down as president. For now, his likely successor is 54-year-old Miguel Díaz-Canel, appointed as first vice president in 2013. Alternate reports describe Díaz-Canel as either a hard-liner or a reformer, with varying strengths of ties to the Cuban military (though Díaz-Canel isn’t himself a military figure). In short, few have credible insight into what Díaz-Canel truly believes, whether he’ll even make it to 2018 as the heir apparent and, if so, whether he’ll just be the civilian puppet that perpetuates the rule of the Cuban military. In the meanwhile, Raúl Castro has groomed his son, 49-year-old Alejandro, a rising figure within Cuba’s all-important MININT. Alejandro traveled with Raúl to the Summit of the Americas, lingering in the background in the photos where Raúl shook hands with Obama. 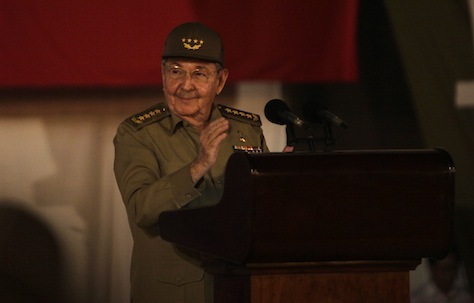 Some Cubans believe that he will eventually emerge as the next Castro to rule the island. 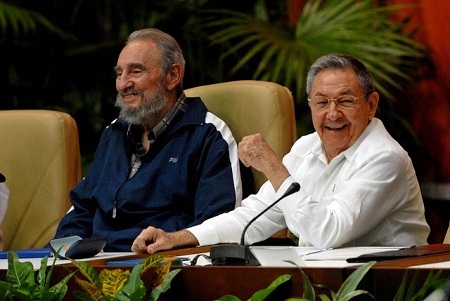 No one knows for sure, however, what the retirement of the elderly Castro brothers will mean for Cuba. In the meanwhile, young Cubans are waiting for neither the Obama administration nor the Castro regime to deliver change to them. They’re getting on with making lives for themselves in a Cuba that, though still hampered by a heavy-handed state sector, provides more opportunities for them in decades. An informal poll of young Cubans on one weekend night in late May on the Malecón, the long walkway that rings the edge of Havana’s sea walls and where Cubans of every age and background flock on weekend nights, indicated that while Cuba’s youths are generally excited about closer ties with Americans, they don’t necessarily believe it will translate into better futures personally. For those who believe that reform will not come soon enough, the United States continues to beckon. In the wake of Obama’s December announcement, the U.S. Coast Guard announced that a sharp uptick of Cubans took to boats in hopes of emigrating to the United States, fearing that reconciliation would mean the end of the favorable U.S. immigration policy towards Cubans. Under the current iteration of the U.S. Cuban Adjustment Act, the “wet foot, dry foot” policy extends a path to residency for any Cuban who makes it to American shores (though not to any Cubans caught by the Coast Guard en route to Florida). In the 2012 film Una noche, a highlight of Cuban cinema in the past decade, NYU-trained Lucy Mulloy directed the neorealistic tale of three young Cubans who ultimately attempt to leave the country on a makeshift raft. Life imitated art when, a year later, two of the three co-stars, Anailín de la Rúa de la Torre and Javier Núñez Florián (pictured above), decided to stay in Miami en route to a film festival in New York. Though they play brother and sister in the film, they fell in love during filming and now live in Las Vegas with their young son. Unlike the previous generations of Cuban emigrants to the United States, Núñez Florián wasn’t overly concerned about politics when I spoke to him last week. He said that he had always hoped to one day live in the United States and that his decision was about building a better future for himself and his family. He added that it’s not difficult to balance his life between the two worlds, that half his friends are still in Cuba, and that it’s easy for him to visit Cuba. Though he initially demurred when I asked him about the dynamics of US-Cuban relations, he agreed that he sees it in a positive light. “Little by little,” though, is the key phrase. It’s easy to forget that, amid the excitement over Cuba’s opening, the Revolution took place only six years after the final armistice that divided North Korea and South Korea. 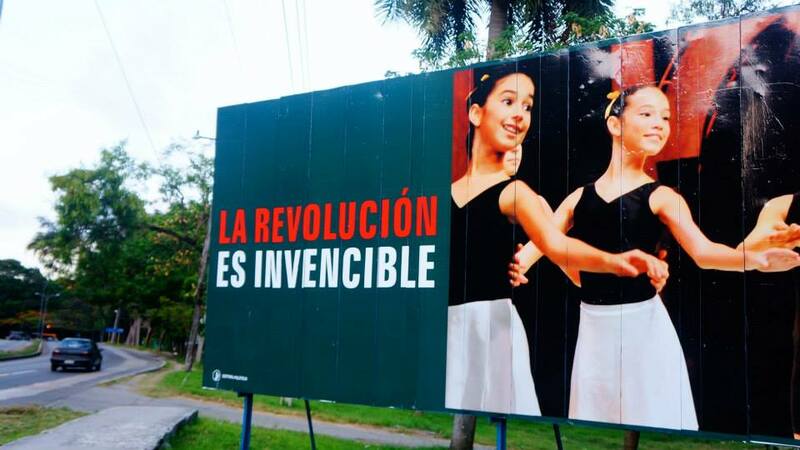 Americans who believe that Cuba will suddenly be transformed, as if overnight, will be sorely disabused. Cuba’s modernization will be a difficult process that moves in zigs and zags. Former Bush-era commerce secretary Carlos Gutierrez, himself a Cuban-American, believes that Cuba can be a veritable Caribbean Singapore, but that’s hard to believe after a few days on the ground in Havana. 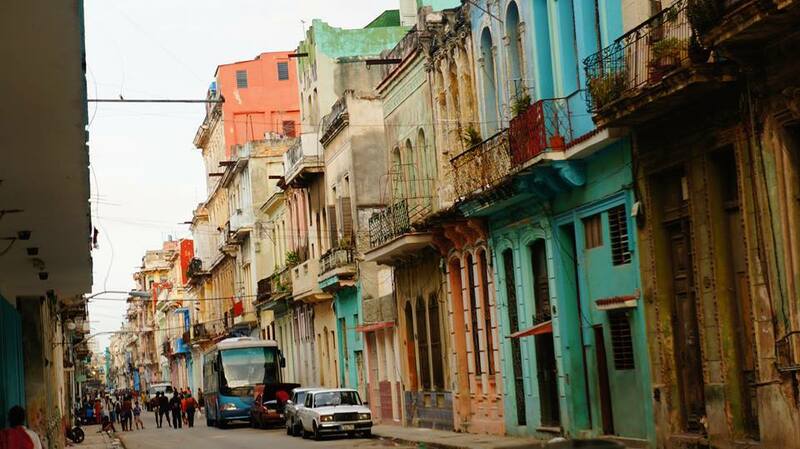 The “romance” of 1950s jalopies subsides after a couple of taxi rides in an overcrowded Soviet-era Lada from the 1970s, and Havana suffers from all the other shocks of decades of economic mismanagement, exacerbated by U.S. stubbornness. 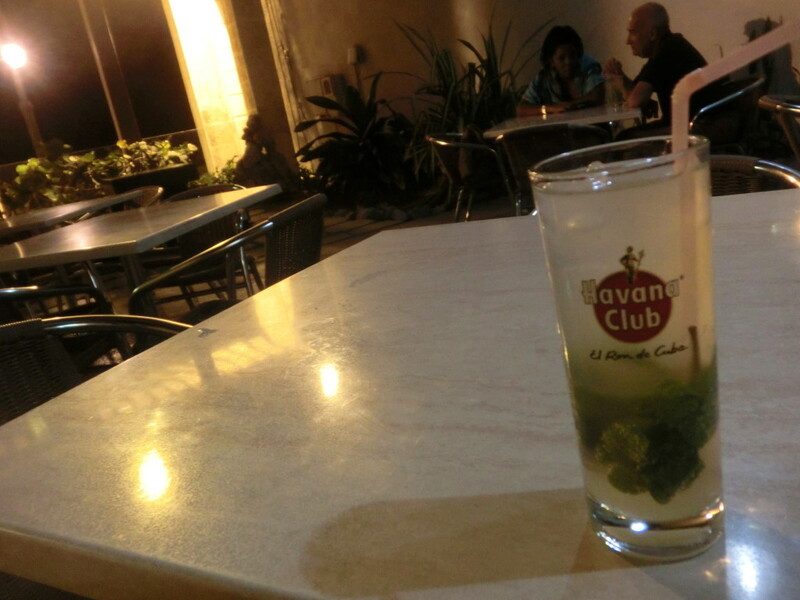 On my first Friday night in Havana, I stopped at a bar for a little refreshment but by 10 p.m., it was out of shrimp, it was out of tostones (which I’d thought were ubiquitous throughout the region) and, the greatest sin of all, my waiter informed me that mojitos were no longer available. This wasn’t a flashy hotel or a secluded resort in the foreigners-only enclave of Varadero, but it was still a Chilean-themed bar directly across from the Malecón. From transportation to distribution networks, Cuba is woefully unprepared for a deluge of American tourists who won’t take kindly to surly rooms with Soviet air conditioners and bars that run out of mojitos. Cubans may also find that competing for U.S. customers will be equally difficult. For years, cigar experts have warned that the Cuban tobacco-growing industry suffers from inconsistent quality control. The Havana Club brand, if it ever makes it into the American market given the copyright tangles with Bacardi, will face stiff competition from much smoother aged rums. After the post-taboo novelty of Cuban cigars and rum wear off, Millennial cognoscenti may find they prefer to sip on Guatemalan rum and smoke Nicaraguan cigars. Meanwhile, Cuba’s infrastructure is broken. The Cold War never turned hot in Havana, but it did singe Nicaragua, Grenada and Panama City, where U.S. forces bombed the city’s charming Casco Viejo district in its ultimately successful 1989 push to arrest the drug-fueled strongman Manuel Noriega. Remarkably, large swaths of central Havana resemble Casco Viejo as it existed ten years ago, when it was still a bombed-out shell. Today, shopping boutiques and gelato shops adorn the Panamanian neighborhood, but central Havana continues to crumble. Buildings routinely fall to the ground in disrepair and floods in early May resulted in the deaths of at least three residents. Cuba’s currency system is also a mess, with the moneda nacional for Cubans and a fixed-rate convertible peso for tourists that’s created a two-tiered economy of have-nots and have-even-less. Neither currency is worth much internationally, and the Cuban government benefits from the privilege of collecting the hard currency of euros and dollars when tourists arrive to the island. Plans to merge the two currencies worry middle-class Cubans, chiefly in the tourism and hospitality industries, who fear that a botched attempt could wipe out the real gains of the past two decades. It’s not an exaggeration to argue that the 1959 revolution both won Cuba its independence and conclusively ended the Monroe Doctrine, not only for Cuba but for all of Latin America. 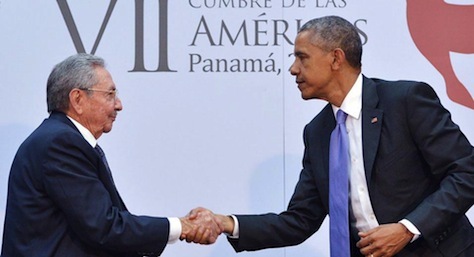 The relationship between the United States and Cuba has been troubled since the beginning. In 1854, U.S. president Franklin Pierce came close to annexing the island through the Ostend Manifesto proclaimed by Southern Democrats anxious to expand the geography of American slavery. Many Cubans believe the United States, by entering the Spanish-American War in 1898, stepped into a fight against a colonial Spanish force already chiefly defeated by Cuba patriots. For the next sixty years, under the Platt Amendment and a series of other measures designed to maximize American influence on the island, Cuba became a satellite of the U.S. government, with barely more de facto independence than Guam or Puerto Rico. If Cuba seems to have more in common with post-colonial African countries that won sovereignty in the late 1950s and 1960s, that’s because it suffered the same kind of post-independence growing pains under the penumbra of the Cold War. That, in part, explains why Americans don’t always understand that Che Guevara is such a hero to Latin America and the rest of the world, no matter how brutal his guerrilla techniques, and that when Fidel Castro dies, his name will be uttered in the same breath as the likes of Nelson Mandela. “Normalization” of U.S.-Cuban relations, as sought by the Obama administration, is really the promise that, for the first time, the United States will treat Cuba as a sovereign equal. 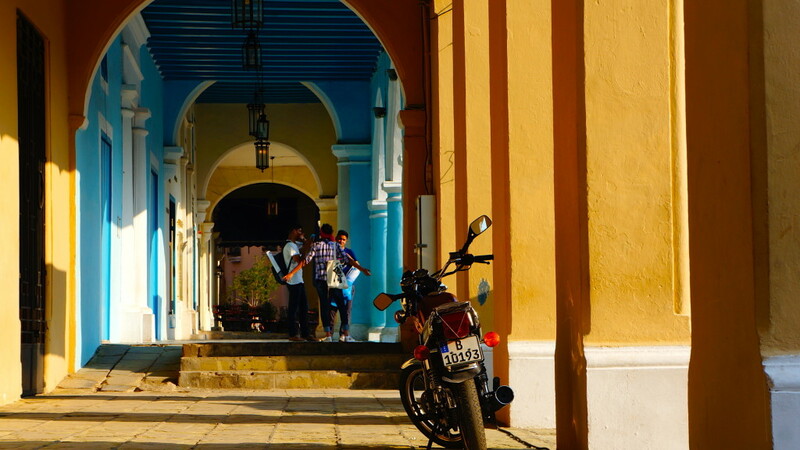 Photo essay: Cuba on the cusp… but for what kind of future? HAVANA — On my first evening in Cuba , my bar ran out of mojitos, as fitting metaphor as any for nearly a week in the Cuban capital. Sure, it wasn’t the bar at Havana’s Hotel Nacional, but it was still a reasonably tourist-oriented cantina with a Chilean theme hugging the Malecón, the popular avenue that runs along the sea. For the record, the restaurant also ran out of shrimp and tostones (the fried plantain chips I’ve always thought taste like fried discs of baking powder with a hint of banana). I’ve been to poorer countries, but it’s hard to think of a place that’s more broken. The keys, the doors, the cars, the buildings, the stores, the distribution channels and yes, even the much-vaunted health care system. The idea that the United States and its legions of consumers and tourists will transform the country virtually overnight is incredibly fanciful. For many Americans, there’s an element of romance to seeing old cars from the 1950s and the faded mojitos-and-daiquiris glamour of what was once a Caribbean playground. There’s also an electricity that comes from a place that’s so close geographically but so distant ideologically, politically, economically and culturally. One comparison that springs to mind is the 12-mile distance between Jerusalem and Ramallah. Photo credit to Alex Castro / AFP. 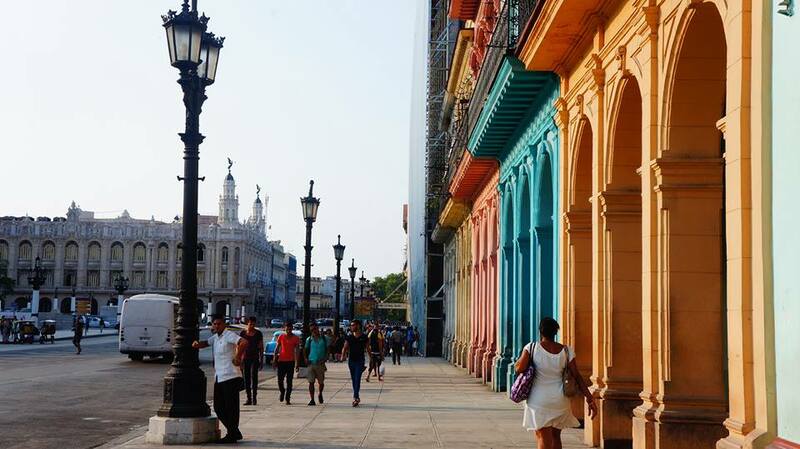 Since US president Barack Obama announced on December 17 of last year that the United States will seek to normalize relations with Cuba (for the first time since 1961), there’s hardly been a day without some little nugget of news about the world opening a little more to Havana. In some cases, it’s been US-based companies, from Netflix to iTunes to AirBNB, announcing that they will take steps to do business in Cuba. In other cases, it’s news that airlines will establish new routes between American cities and Havana — or, potentially, a ferry from south Florida. 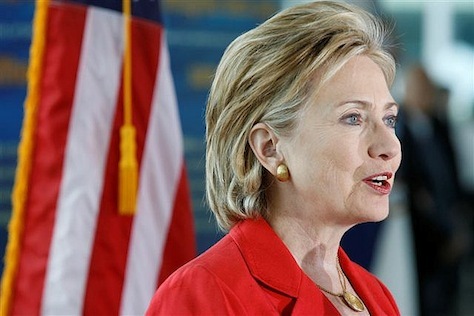 But there’s also been a steady stream of world leaders making the trip to Cuba — the European Union’s high representative for foreign policy, Federica Mogherini, visited Havana in March, New York state governor Andrew Cuomo led a delegation in April. Pope Francis, who facilitated normalization talks between the United States and Cuba, is set to pay the island a visit in September, and US secretary of state John Kerry is tentatively planning a trip as well. Today, however, on the same day that Cuban diplomats said that the country would exchange ambassadors with the United States by the end of the month, it was French president François Hollande’s turn. 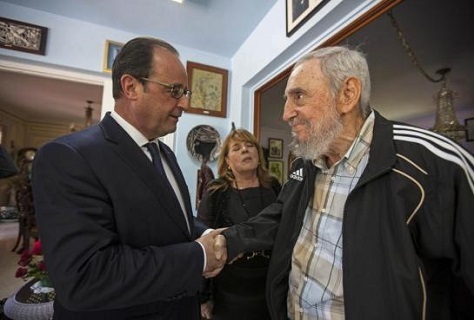 Hollande met with both president Raúl Castro and his brother, former president Fidel Castro. In remarks at the University of Havana, Hollande called on the United States to end its decades-long embargo of the island country, adding that the embargo has slowed the pace of Cuban development. Despite the recent increase in official visits from international figures, Hollande is the first French president in more than a century to visit Cuba, and he’s the first Western leader to visit the Castro-led regime in Cuba since former Spanish prime minister Felipe González in 1986. Hollande’s visit — and the endearing tone with which he embraced the Castro brothers — wasn’t universally popular with everyone. On this visit we needed reaffirmation that the France of the Rights of Man still believes in the unshakeable values that recognize the rights of individuals to disagree, to express their differences without fear and to organize around them. We demanded some words of support, words that would confirm for us that the government of the European country is willing to support, in Cuba, the desires for freedom that have so marked and modeled its own national history. 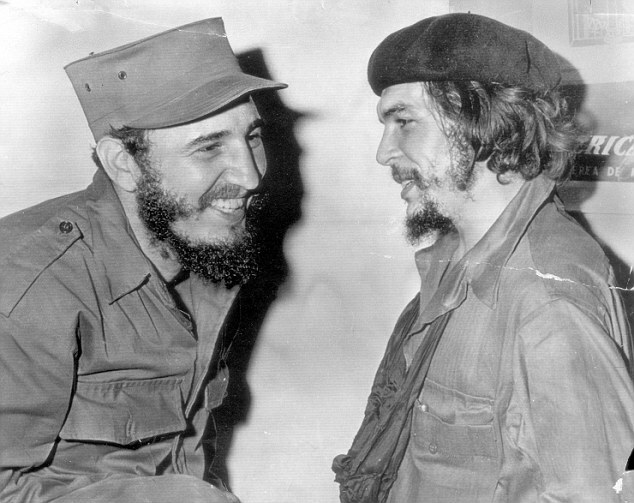 A man who has declared that French and Cubans have “shared the same movement of ideas, the same aspirations, the same philosophical inspiration, cannot believe that he has visited a country where citizens have chosen by their own free will to subordinate themselves to a totalitarian power. Does Hollande think that we have tacitly chosen the cage? Does he suppose, perhaps, that we are comfortable in our chains? Photo credit to Mandel Ngan/AFP/Getty. Fully 15 out of 19 hijackers in the September 2001 terrorist attacks on New York and Washington were Saudi nationals, products of a country governed by a royal family in a centuries-long symbiotic relationship with fundamentalist Wahhabism. When US special forces finally found and killed Osama bin Laden (also a Saudi national) in 2011, he was being protected by Pakistani forces, with plenty of sympathizers within Pakistan’s military and intelligence community. Neither Saudi Arabia nor Pakistan, however, have ever been designated by the US State Department’s State Sponsors of Terrorism’ list, which has always had more to do with the geopolitics of American foreign policy than with reality. So on the heels of US president Barack Obama’s meeting with Cuban president Raúl Castro at the Summit of the Americas last weekend (pictured above), the Obama administration announced on Tuesday that it would recommend removing Cuba from the ‘State Sponsors of Terrorism’ list. The recommendation will take effect in 45 days, following the Obama administration’s notification to the US Congress. Though Congressional action is unlikely to halt Obama’s decision, Obama will need the Republican-controlled Congress to approve any measure to lift the embargo initially imposed on Cuba in 1960 by the United States. Former president George W. Bush took a similar decision with respect to North Korea in June 2008 in consideration for the reclusive country’s decision to allow greater inspection of its nuclear sites. Republican president Ronald Reagan initially added Cuba to the list in 1982, when it became clear that its leader Fidel Castro was supporting leftist guerrilla movements across Latin America that the Reagan administration believed imperative to stop. Nevertheless, Sandinista-controlled Nicaragua in the 1980s and Hugo Chavez’s firmly anti-American government in Venezuela in the 2000s never landed on the list. The most recent 2013 State Department review that justified Cuba’s continued ‘terror sponsor’ status reads like satire, noting that the Cuban government is harboring fugitives from the US justice system, Basque nationalists and Colombian rebels. Never mind the Spanish government concluded a ceasefire with the Basque guerrilla ETA in 2011 and even though Havana was by 2012 hosting talking between the Colombian government and the left-wing FARC. Though a few dozen US nationals are currently in Cuba evading American law, Cuba is hardly the only country guilty of this. Edward Snowden has been in Russia nearly two years. Yemen, Somalia and dozens of other countries are likely harboring individuals who pose much greater threats to US national interests than Cuba these days. The decision leaves just Syria, Sudan and Iran on the list, all of which have ties to the Lebanese militia Hezbollah or the Palestinian group Hamas. Critics, from hawkish Republicans to Democrats like former Senate foreign relations committee chair Robert Menendez condemned Obama’s decision, and it’s not clear that Obama will succeed in his quest to lift the embargo in the remainder of his administration. Obama’s critics also include the Miami-born Marco Rubio, a Republican senator from Florida and the son of Cuban immigrants. Rubio, who became the third major Republican to announce a presidential campaign on Monday, sharply denounced the Obama administration’s overtures to Cuba, putting him out of step with many American voters, including increasingly younger Cuban Americans. Though the decision to remove Cuba is mostly symbolic, it will open Cuba to the global payments system because international banks with links to the United States have largely avoided handling Cuban funds, out of fear of repercussions from the US department of justice. That, in turn, will facilitate the formal re-opening of embassies in both Havana and Washington. Lifting the designation also means that the US government may now provide greater economic assistance. Domestic policy considerations have long delayed the thawing of US-Cuba relations, but Cuba hasn’t been sponsor of terrorism in decades, and there’s no evidence that Cuba ever supported any kind of terrorism that truly threatened US national interests. Even in the absence of the parallel US opening to Cuba, the Obama administration’s decision to remove Cuba from the list of terrorism sponsors was long overdue. In one of the most significant foreign policy steps of his administration, US president Barack Obama announced widespread changes in the US-Cuba relationship on Wednesday, including the reestablishment of the first US embassy in Cuba in over a half-century and relaxed rules for US commerce, travel and engagement with the island nation of 11.25 million. It’s a historic play, and it yanks one of the biggest straw-men arguments out from under Cuba’s aging Castro regime. But the announcement brings with it more questions than answers for both the United States and Cuba, as the two countries begin negotiating a new chapter in a troubled relationship, even long before the 1959 Cuban Revolution, the failed 1961 Bay of Pigs / Playa Girón invasion and the 1962 missile crisis. Cuban disenchantment with the United States stretches back to at least the 1903 Platt Amendment that established unequal relations through much of the first half of the 20th century, culminating in the brutal regime of US ally Fulgencio Batista, overthrown in Castro’s 1959 revolution. Obama shrewedly signalled in his statement Wednesday that he understands the broader arc of Cuban-American relations by quoting José Martí, a founding father of Cuban independence who was killed in 1895 by Spanish forces. in the November 2016 presidential election? It’s just the time of year for Cold War legacies — east-west tension in Ukraine, French intervention in Central Africa and now a reminder of the frigid half-century of US-Cuban relations. 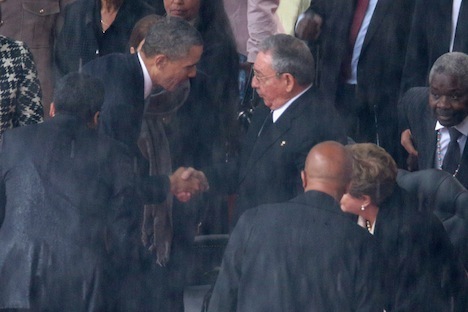 The photo of US president Barack Obama shaking hands with Cuban president Raúl Castro may come to be the defining image from Nelson Mandela’s funeral in South Africa earlier today. It’s fitting that Mandela, even in death, can bring together the leaders of two countries that have had such a tortured bilateral relationship. If Mandela and the ruling apartheid regime of the 1980s could set aside differences to forge a new South Africa, Obama and Castro can share a moment of basic human civility. It took a man like Madiba to free not just the prisoner, but the jailer as well, to show that you must trust others so that they may trust you; to teach that reconciliation is not a matter of ignoring a cruel past, but a means of confronting it with inclusion and generosity and truth. He changed laws, but he also changed hearts. It’s not unprecedented — though we don’t have a photo, former US president Bill Clinton shared a handshake with former Cuban leader Fidel Castro in 2000. While it’s encouraging to see some minor thaw in the US-Cuban rupture, it’s unlikely to herald any truly rapprochement in a world where Florida still has 29 electoral votes and the truly awful Bob Menendez, the US senator from New Jersey, continues to chair the Senate Foreign Relations Committee. Menendez, a Cuban-American, is among the most anti-Castro members of the US Senate, so don’t expect any broad-based effort to lift the half-century embargo against Cuba — US citizens are generally prohibited from traveling to the Caribbean island of 11 million people, where Raúl’s brother Fidel took power in a popular revolution in 1959. I’ll leave aside in this post the valid points of both the anti-embargo position and the anti-Castro position — though Castro replaced in Fulgencio Batista a corrupt and bloody strongman, the Castro record on human rights, democratic participation and economic freedom isn’t incredibly strong. 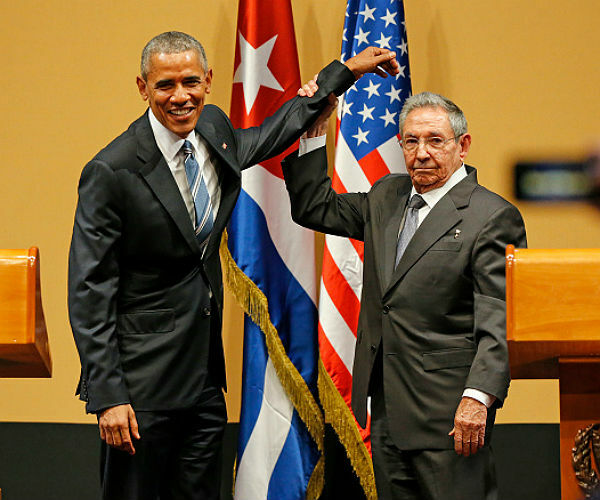 Americans who believe that Cuban policy remains about 30 years behind the times will be mildly heartened by the handshake, and the truly nutty will attack Obama for ‘comforting America’s enemies’ or some other outrageous criticism. But sometimes a handshake is just a handshake. Photo credit to Chip Somodevilla / Getty Images. With Cuba cautiously introducing free-market changes that have legalized hundreds of thousands of small private businesses over the past two years, new economic bonds between Cuba and the United States have formed, creating new challenges, new possibilities — and a more complicated debate over the embargo. The longstanding logic has been that broad sanctions are necessary to suffocate the totalitarian government of Fidel and Raúl Castro. Now, especially for many Cubans who had previously stayed on the sidelines in the battle over Cuba policy, a new argument against the embargo is gaining currency — that the tentative move toward capitalism by the Cuban government could be sped up with more assistance from Americans. Which begs the question, a day after Cuba’s own sham parliamentary elections: why is the embargo still in place, 51 years after the Cuban missile crisis? The easiest and obvious explanation is a public choice theory — Cuban Americans, especially those in Florida, remain adamant against lifting the embargo, and any politician’s move to open trade or travel restrictions on Cuba would risk the wrath of a key electoral bloc in not only a large U.S. state, but one with 29 electoral votes (i.e., more than 10% of the votes a presidential candidate needs to win an election). Given the prominence of many Cuban-American representatives in Congress, including the likely new chairman of the U.S. Senate committee on foreign relations, U.S. senator Robert Menendez from New Jersey (if he can survive allegations of improper donations and dilly-dallying with underage prostitutes in the Dominican Republic), it’s easy enough to see how a small group of politicians and an active group of voters can block any change on the issue. I find that a very compelling explanation for why the embargo remains in place, but is there a compelling public interest explanation for continuing the embargo? Economic sanctions rarely ‘work,’ unless virtually the entire world participates — note how the French, the Russians and the Chinese and other interests undermined sanctions on Iraq throughout much of the 1990s. Likewise, despite a severe hangover from the end of the Cold War in the 1990s due to the abrupt termination of Soviet subsidies, Cuba has seen an increasing flow of Chinese investment over the past decade, not to mention a steady stream of European and Canadian tourists, delighted to find a haven from American tourists, who of course, aren’t legally able to visit Cuba. The Cuban-American community often argues that the embargo is necessary to continue to punish and isolate the Castro regime, but the United States has no problem doing business with regimes that continue to feature authoritarian political control, including Vietnam and the People’s Republic of China. If you are close in proximity to the United States (90 miles off those shore of Florida, no less! ), and you collude with the chief geopolitical enemy of the United States to aim nuclear missiles at the United States, the U.S. government will not only punish you, but it will punish you for so long after the incident, holding the grudge for such a long time and beyond all expectations, that no one in Latin America will do anything to endanger U.S. national security to the same degree without thinking long and hard about the isolating aspects of the U.S. response. On this theory, the embargo is less important for U.S.-Cuban relations and more important as a deterrent to, say, Venezuela or Nicaragua or whichever Latin American regimes in and around the Caribbean that happen to feature a relatively anti-American government. I find this persuasive, in particular, given that the relative distance of the United States from Europe and Asia has been one of its key strategic strengths, especially in geopolitical affairs over the past century and a half — note that the trauma involved with both the Japanese attack on Pearl Harbor in 1941 and the al-Qaeda terrorist attacks on New York City and Washington in 2001 resulted in part from the relative scarcity of foreign attacks on the U.S. mainland. 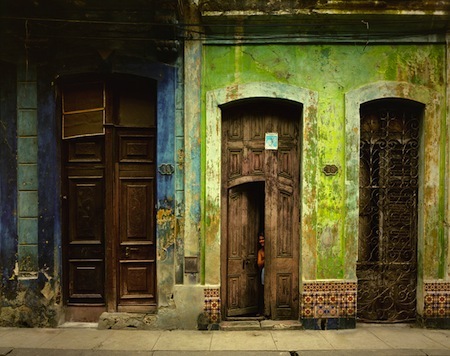 Photo credit to Andrew Moore — Habana Vieja, on Calle Bayona, 1998. Check out his latest book of photos from Cuba here. Cuba — the Caribbean’s most populous nation with over 11 million people — is holding parliamentary elections this Sunday. But those elections are so stage-managed by the Cuban government that they make the recent troubling Jordanian elections look like best practices in liberal democracy. As a technical matter, Cuban voters will elect all 612 members of the Asamblea Nacional del Poder Popular (the National Assembly of People’s Power). Fortuitously, there are exactly 612 candidates who have been selected for the honor of running in the election, which follows virtually no campaigning or fundraising or any of the other effluvia of modern elections. It’s fair to say that, in contrast, the selection of the Politburo Standing Committee of the People’s Republic of China, has much more drama. That’s probably all the same, anyway, given that the Partido Comunista de Cuba (PCC, Communist Party of Cuba) has been enshrined in the Cuban constitution as the country’s governing party since 1959. Since virtually all decisions are made as executive orders by the Council of Ministers, the parliament is relegated to rubber stamping decisions already made and sometimes already implemented. Virtually all votes are unanimous and any debates among the members are held behind closed doors. Even an abstention is highly rare. This is to say 612 deputies routinely agree with every executive order passed by the Council of Ministers. Despite the sham elections, it’s nonetheless a dynamic time for Cuban policymaking, so there’s never been a more optimistic time for proponents of economic and even political reform. Furthermore, given the advanced age of both Castro brothers — Raúl is currently 81 — it’s nearly certain that Cuba’s leadership will pass to a new generation sooner rather than later.